Well, Christmas is officially over and I'm looking forward to the new year and some Winter's respite and recovery. I also quit my overly demanding job and I'm starting a new work-at-home job that I'm hoping will be less consuming of my valuable family and reading time. We shall see. I'm thinking it will be. Staying positive. Hope you all had a blessed Christmas and wishing you much health and prosperity in the New Year! This is the official sign up for A Winter's Respite Read-a-Thon! Dates are January 18 - 24, starting at 12:00am Monday and ending at 11:59pm on Sunday. Times are central standard time so adjust your times accordingly. Of course, like most read-a-thons, the books read must be novels or novellas, adult or young adult are fine, and you can read children's books too (as long as you do read some novels too). Note: Non-Fiction is also okay! You DO NOT have to participate the entire week. Join in when you can, start in the middle, end early...whatever works best for your schedule. 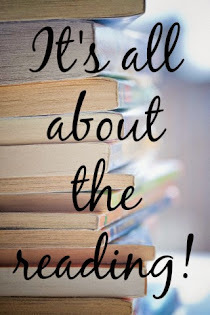 As with all of my read-a-thons, it will be a week of relaxed reading during which we can personally challenge ourselves and whittle away those ever looming TBR piles/shelves/libraries. Guidelines for the read-a-thon can be found HERE or you can access in the tab at the top of the blog. Any information you need about the read-a-thon can be found there. Please do be sure to check the guidelines to make sure you're following along correctly. There are specific rules regarding signing up and wrapping up, especially in regards to the giveaway. Also, regarding the giveaway, I'll be again adding a Google form to capture names and email addresses so if you're interested in winning a prize (and you've met the sign up and wrap up criteria), I will ask you to fill in that form which will be located on the prize page. Sign up in the linky below. You do not have to do a post now, unless you want to help spread the word (much appreciated). If you don't have a blog, use Facebook, Twitter or Goodreads. Having a blog is not required. Be sure to grab the button at the top of this post (there's also a grab code below the button in the sidebar). Finally...a wrap up post. I'm so sorry for being MIA for the read-a-thon this year. As some of you have seen in the Facebook group, I haven't been having a good go of it lately. Work and real life problems have been especially nasty and while I'm still trying to stay positive and carry on, as I always do, I'm utterly exhausted in the process. Hoping that I can pick myself up, dust myself off, and really start enjoying this holiday season. I hope you all enjoyed the read-a-thon and that it got you into the spirit. 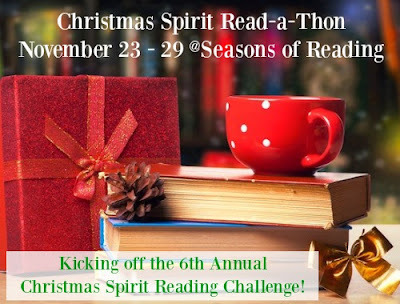 If you want to continue on with your Christmas reading this season and you're up for a challenge, why not sign up for my Christmas Spirit Reading Challenge at my Christmas blog (if you haven't already)? Would love to have you! It lasts through January 6. Add your wrap-up post to the linky by Friday, December 4 at 11:59pm CST to be eligible for the prizes. Be sure that you entered via the form on the Midweek Check-In post. Thanks for participating! I hope you will join me for the Winter's Respite Read-a-Thon, coming January 18 - 24. Button is coming soon.